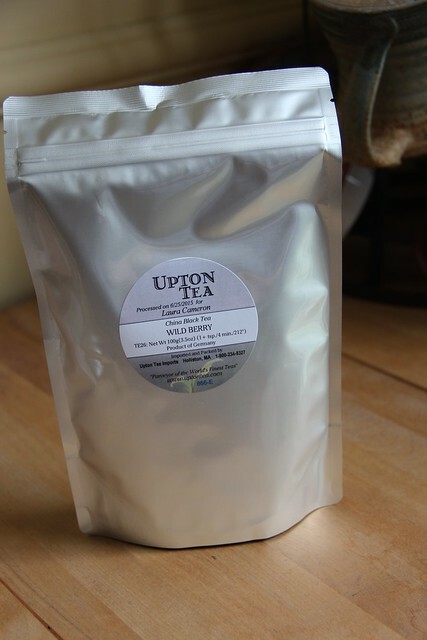 A few weeks ago I got a sale email from Upton Tea and I just couldn’t resist picking up a few things. The first thing on my list was the Black Tea Wild Berry. 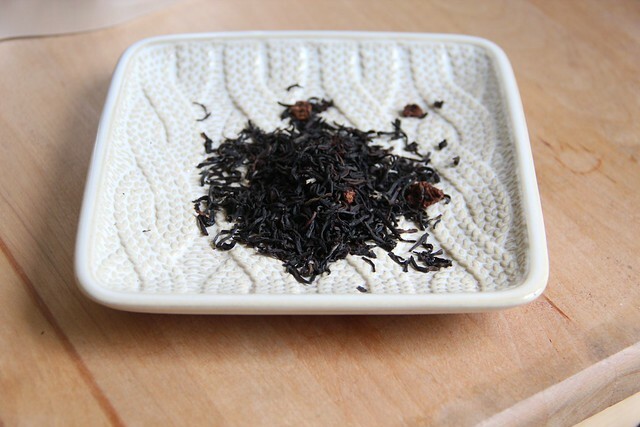 From the website, the blend contains China black tea with blueberry and strawberry flavors. It is available in a variety of sizes: 12g sample for $1.50, 100g packet for $8.80, 200g packet for $16.72, 400g packet for $32.60 and 800g bag for $61.60. When I first opened the bag I have to say that I wasn’t very enthusiastic about the smell. While I could sort of smell the berry flavors, it also reminded me a bit of cough syrup, which was a total detractor. Once I brewed the tea, it tasted like a black tea with a hint of berry. However, it never lost that orginal aroma and my sense of smell is too closely linked to taste, so this one will be a pass for me in the future. Your mileage may vary!